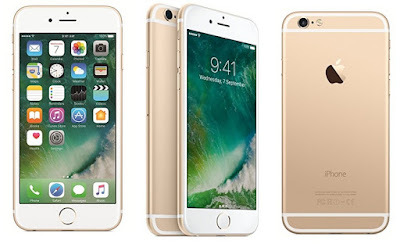 A good news for Gold lovers, Apple iPhone 6 32GB storage variant in Gold color variant is now available for sale via Amazon India. The Gold iPhone is priced at Rs. 26,999. Initially, the iPhone 6 32GB was launched only in Space Grey color. So those waiting for Gold color can go and grab the handset. Amazon India is offering a guaranteed Rs. 2,000 extra off on exchange of old smartphone. As as far as the specifications are concerned, the Gold variant iPhone 6 comes with same hardware specs as the previous Space Grey variant had. It comes with a 4.7-inch Retina HD display and powered by the Apple A8 chip and 64-bit architecture paired with 1 GB RAM. The handset runs on iOS 10 and houses an 8-megapixel iSight camera with Focus Pixels and packs a non-removable Li-Po 1810 mAh battery. The company is also giving introductory offers which include 45GB of additional data for Vodafone customers, and more.